The Holiday Sales season is quickly approaching and social media can have an important influence on your customer’s purchase decision or gift ideas. 74% of shoppers make buying decisions based on social media. Setting the right strategy on social media is essential to increase brand awareness, increase engagement and turn online audiences into customers. During the Holidays Sales season shoppers are actively looking for things to buy and soon they will start seeing a lot of Holiday advertisements offering the best deals for the season. Setting a social media strategy is a great way to make sure your audience sees the products and services you have available during this period. In order to grab your audience attention on the holiday season, you will need to think like your shopper, where they are? What motivates them to make a purchase? The message of your advertising needs to reflect what they are most receptive of seeing and hearing at the moment. Usually holiday shoppers react to last minute and seasonal discounts. Posting holiday deals for your social media account audience will reach some of your followers and a very limited audience. In order to reach a bigger audience than your network followers, you should invest in paid social media posts – paid/ sponsored. You can set your target audience by any number of factors to reach the message for the right audience. If you aren’t on social media, you should rethink! Surely your competitors are. A great way to amplify your marketing strategies are integrating your social media efforts on the Holiday Sales season. Posting promotions, combos deals or offering a specific social media deal, such as free delivery or bonus gift will increase engagement with your followers and lead them to your website. Social media is a way that shoppers look for gift ideas. How great it is to have a buy button, saving customer time by clicking a link to get the product that you want to buy? Pinterest has a “Buy It” button where you can you can pay for a product within the website. Facebook and Instagram also have this option. This makes shopping easier for customers and avoiding distractions during the purchase. Get the most out of your holiday advertising by creating a series of holiday ads that it will appear each week with unique deals that appeal to a variety of different customer incentive, covering different audience that might prefer combo offers over percentage off deal. Running the same ad over a specific period it will cause it to fade into the background. 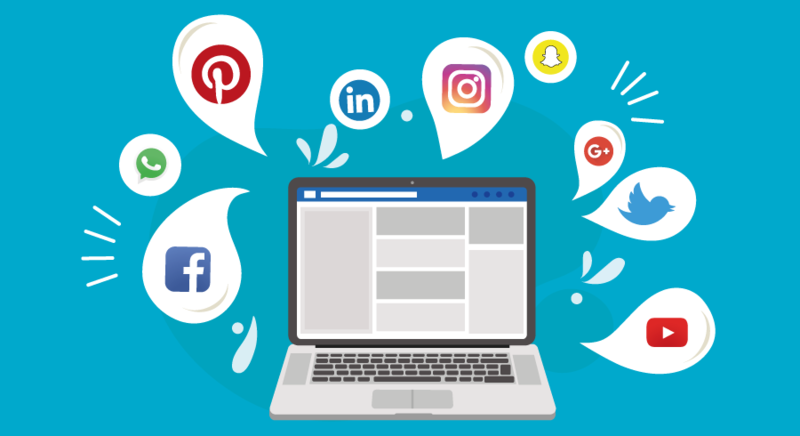 Social media is one of the most effective channels to connect with your audience and boost the engagement. Getting into the holiday spirit by adding holiday elements on your social media profile like a Christmas colors, combined with other strategies. It will connect with your audience, humanise and built trust in your business. Do you need more assistance to get start with your social media strategy for the Holiday Sales season? Contact Au Digital today!